Before motorcycle drag racing could grow, it needed visionary individuals who recognized its potential as a spectator sport. If races among bootleggers barreling down country roads could become NASCAR, wasn’t there also potential for those racing motorcycles from stoplight to stoplight? The AMDRA’s Roy Strawn with T.C. Christenson and Wally Parks, founder of the NHRA. The first group to think so was the American Motorcyclist Association (AMA), which held its first officially sanctioned drag race in 1953 in Pomona, California. Over the years the Ohio-based organization would focus most heavily on other forms of competition such as dirt track racing. Considering the sport’s popularity on both a grassroots and national level, it only made sense. 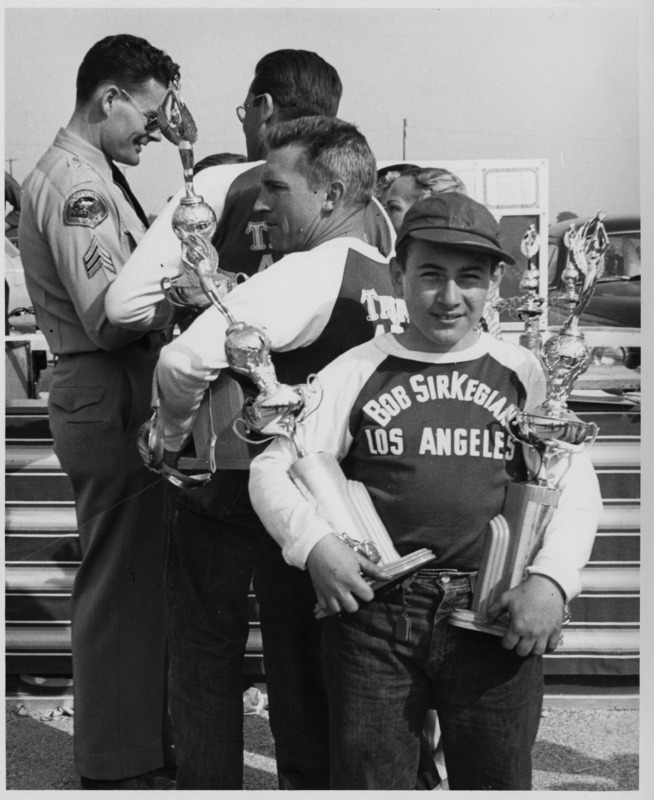 At the first officially sanctioned, AMA drag races in 1953, thirteen-year-old Bobby Sirkegian won the 500cc and 650cc A/Gas titles. 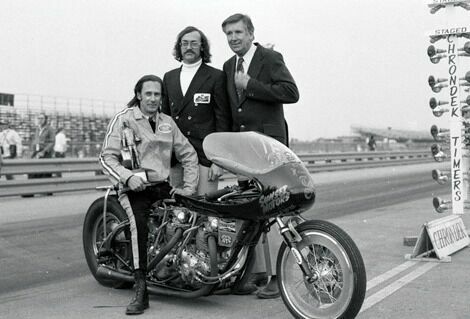 The next group to embrace motorcycle drag racing was the Midwest-based American Hot Rod Association (AHRA) which, although focused primarily on cars, actively began promoting motorcycles in the early Sixties under the guidance of West Coast Director, Kerry Clark. At the AHRA Motorcycle Nationals at Long Beach, California in 1965, for instance, there were sixty-six classes in which to race—more than twice what other organizations offered. And then, there was its rival National Hot Rod Association. 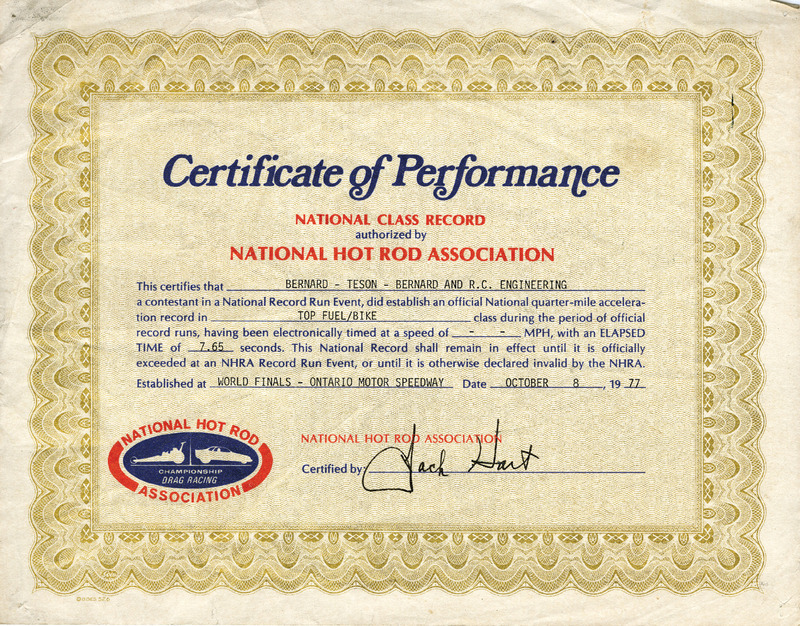 Although also primarily a car governing body, the NHRA decided in 1970 to absorb motorcycles into its organization. Operating rules were written by “Hot Rod” magazine Editor Bob Greene along with AMA Referee Earl Flanders and a number of West Coast racers. To establish a set of records, Irwindale Raceway in Southern California promoted the First Annual U.S. Fuel and Gas Motorcycle Nationals in March of 1970. While car-based sanctioning bodies clearly helped popularize motorcycle drag racing, the sport needed its own voice. By 1970, it would have it. 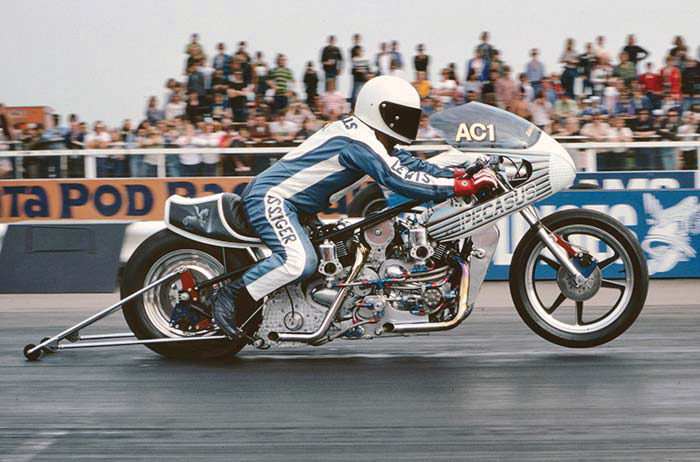 Descended from the Middle Atlantic Motorcycle Association (founded by Joe McFadden and Willie Fluegel), the American Motorcycle Drag Racing Association was headed by Roy Strawn who, according to “Cycle Magazine”, was “… the only individual in the country who has shown real organizational ability in the drag racing context”. 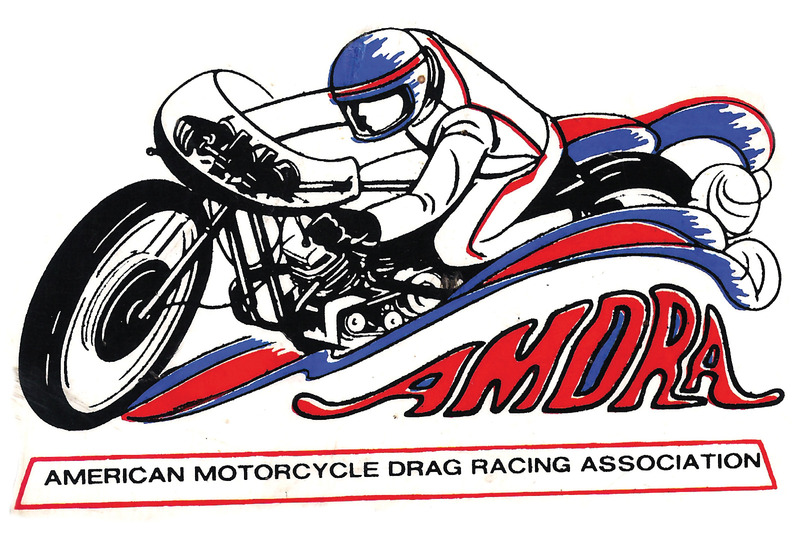 Although they got much of it right, the AMDRA folded in 1976 and when it did Dragbike!–which had been the magazine covering the events promoted by that group–took over. 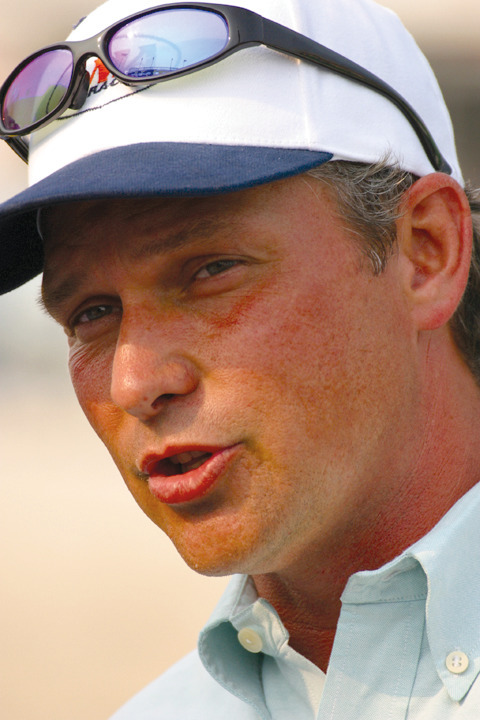 Its publisher Tom Laughlin Jr. became its president, while Jim Milstead became Technical Chief. 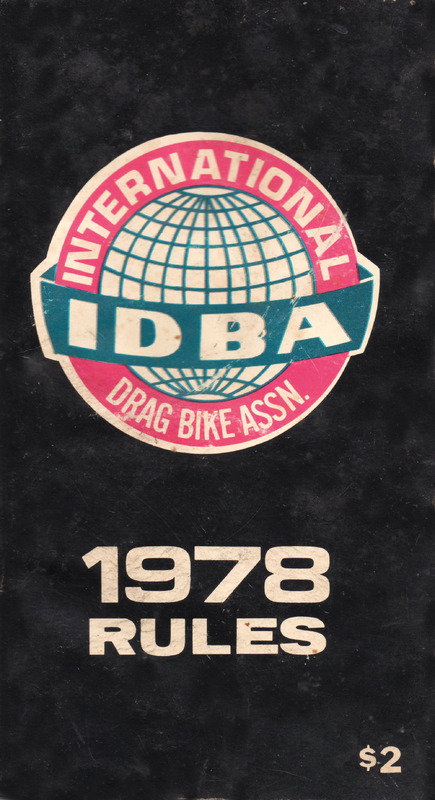 At about the time the AMDRA was ending, the International Drag Bike Association (IDBA) was being formed in Alabama under the direction of Wayne Molpus, and later Tony Lee. While successful for a number of years, it too eventually ceased operating. In 1989, the International Hot Rod Association Motorcycle Division was formed by Keith “Scooter” Kizer, Bob Van Sciver, Joe Sway, and Carl Stieffenhofer. The organization later became known as Prostar, followed by AMA/Prostar, and eventually AMA Dragbike before disbanding in 2010. For many years Prostar was the premier all-motorcycle sanctioning body. “Scooter” Kizer was much of the reason why. In the early days of motorcycle drag racing, rules were relatively few–which made sense: The sport was less evolved and therefore more hadn’t been disallowed. When rules are established, some people will be happy with them while others won’t. In the minds of those making the rules, it’s about creating a level playing field. But if you’re a competitor who likes the field just the way it is, that’s another matter entirely. On paper at least everyone wants parity. The sanctioning bodies want it since it gives the impression of fairness. Fans want it because it makes for less predictable racing. Certainly, those racers who feel it doesn’t exist for them want it since they’re more likely to race when they feel it does exist. 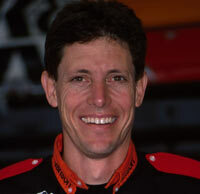 At the 1998 AMA Prostar World Finals in Gainesville, for example, 29 riders entered the Lectron Pro Stock Bike class. The previous season had as few as five. The reason? New rules allowed four-valve engines to be larger and two-valve engines lighter, and that meant that everyone had a theoretical shot at winning. 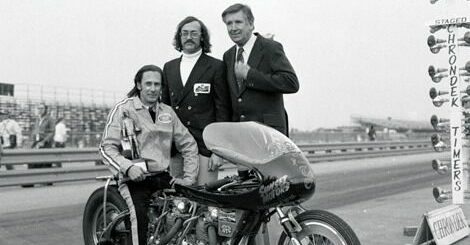 In 1970, Truett and Osborn began promoting motorcycle drag races. Fortunately, they still do. In order to ensure that the rules are as fair as they can be, the NHRA for one analyzes the results of every Pro Stock Motorcycle race they promote. If it is believed that a particular brand has a performance advantage (as determined by elapsed time), a more thorough investigation will result. Officials naturally take into account factors that can impact performance: If a team makes a perfect run during a session with disproportionately favorable conditions (a strong tailwind, for instance), that needs to be considered as do regional conditions (such as the high altitude of Denver) that favors one brand over another. The moment rules are established, people look for a way around them. Allegations, of course, are only that. Racers are innocent until proven guilty and over the years, few have been. At one point Star Racing used three large vacuum pumps on their machines, which was legal since the rulebook never dictated the number of pumps allowed. When a new rule made multiple pumps illegal, the team simply went to a single, large pump. Everyone followed. And when it is covered, it’s time to look for something that isn’t. (310) 459-7542. The price is $40 and shipping is free. A lot of names I had forgot. Wayne Molpus for one. The first race ever held at Darlington Dragway when it opened in 1976 was Wayne’s IDBA race and I set the record in B/A, which was lowered by someone else at the next race. I have great memories from that era. This is sort of like a history of car drag racing without mentioning NHRA. Capt Gerry Hare, Marion Owens, Jackie Trett, Bob Malloy, Steve Johnson or any of the 12,000 rider/members who were the 48,000 total entrants in 67 tracks and over 250 events from Epping NH to OCIR in Irvine Cal and from Seattle Intl at Kent Wa to Miami Hollywood Speedway, invented the Sturgis Rally drags and was TO THIS DAY, including NHRA, the only drag sanction to have TWO OEM’s offering contingency money in the same series. 1.5 million fans in the stands,the largest all- cycle crowd to see motorycle drag racing (50,000 one day X2 at Pocono Cycle Jam (Ask Jackie Trett or Jim Mangus)… and spectator attendance records at other all cycle events still standing. Hey, if Roy Strawn still walked the earth, he would have written this for me. The founder took great delight in straightening out wrong recollections. Whoever you are that wrote this…be assured tha there is no hate here..just a hope that the folks you demeaned by leaving out the only REAL coast to coast and border to border, multi-divisional championship series in the sport’s history will take MY attitude of just wanting to educate you and yours. You seem enthused. Bless you. Now…do your research and fix this..your piece is NOT fake news…it’s just woefully lacking..and as such , does disservice. 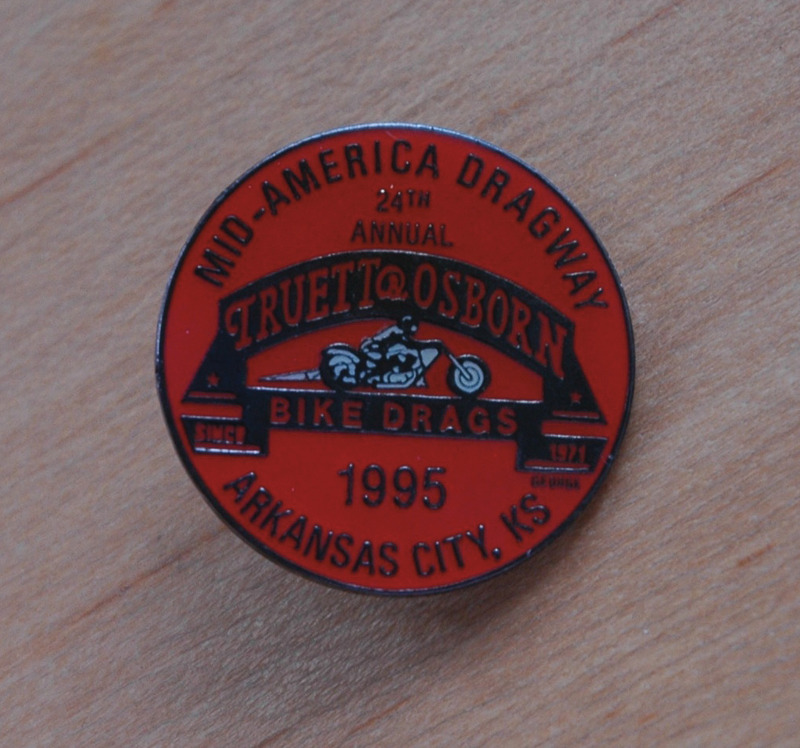 As well as the national director of the outfit above, DRAGBIKE! USA and the LEGITIMATE.. AMA DRAGBIKE! 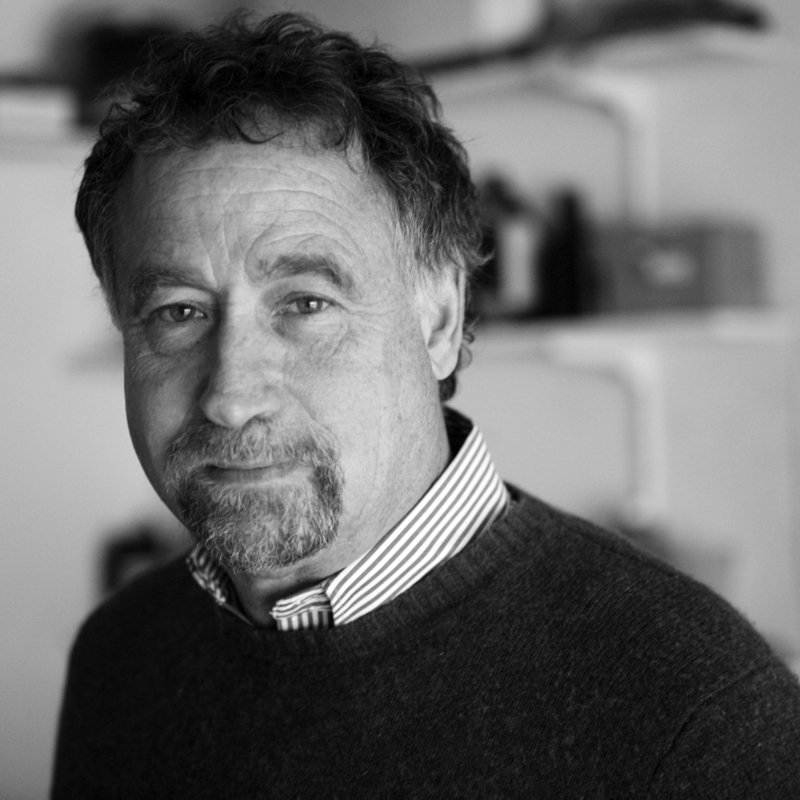 and official photog for AMDRA prior I am also a credentialed reporter/columnist formerly of the Pulitzer Prizewinng Utica Observer Dispatch ..and know whereof I speak. Ready to help you get this right..for the 12,000 riders, 67 tracks and 15 years of motorcyle drag racing 1977-’92 given short shrift I hope, and trust unintentionally) herein.